I DO have some good news though! I am officially an Ambassador with the amazing Lenny & Larry’s! The first of May marked the beginning of the Ambassador program, and I’m very impressed with the professionalism of the managing team as well as the benefits of working with a company I already love and respect. I have tried nearly every flavor protein cookie now, except Chocolate Chip and Double Chocolate. I have so many recipe ideas swirling through my head right now, ranging from ice cream sandwiches to mini cheesecakes, so stay tuned for recipes and photos. Next week I have an order of Snicker Doodle, Pumpkin, White Chocolate Chip Macadamia Nut, and Chocolate Chip coming in the mail. I can hardly contain my excitement! In addition to protein cookies, Lenny & Larry’s also makes Muscle Muffins, Muscle Brownies, and Fit Brownies. I haven’t tried these options yet, but I will soon, and I’ll write a detailed review. I hope they live up to my expectations, because their protein cookies are too good, in fact they are better than a traditional cookie. Not only do I get the benefit of increasing my protein intake, healthy ingredients excluding dairy and added sugars, I also get amazing flavor and I stay full, with ZERO guilt! Not to mention, they are so quick, easy, and on the go, I can just throw one in my backpack for school, take one for breakfast at work at 6:00am, bring them to any triathlon for my husband, or take them on a hike or camping. I will also be posting more workout videos soon. School, work, and leisure time has been hectic and I’ve fallen out of routine after a few life changes, but I’m committing to more posts, so stay tuned! 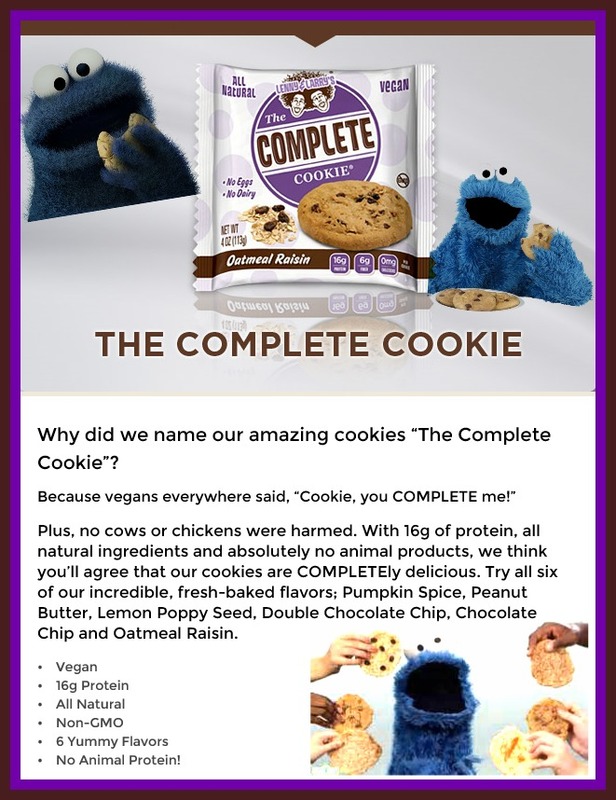 This entry was tagged complete cookie, cookie, dairy free, fit fam, healthy snacks, lenny and larry's, lenny and larry's ambassador, live fit, muscle food, non gmo, vegan cookie. Bookmark the permalink.